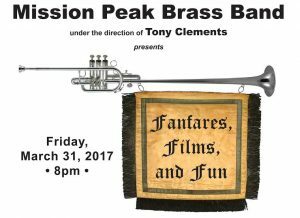 Please Join us Friday March 31st at 8PM at the Smith Center for Fanfares, Films, and Fun! 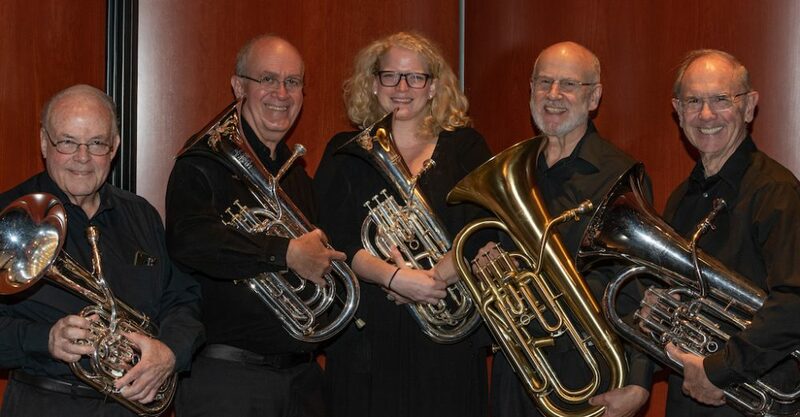 The Mission Peak Brass Band will be playing Sparke’s Fanfare, Romance and Finale, Lovatt-Cooper’s spectacular Fire in the Blood, and British marches O.R.B and Arnhem. Our film feature is Once Upon a Time in the West, with soloist Doug Harris on Soprano Cornet. The band will also perform Grainger’s Irish tune from County Derry, and Sparke’s splashy arrangement of 60’s anthem McArthur Park.